This February, Crisis Center of West Texas recognized Teen Dating Violence Awareness month. 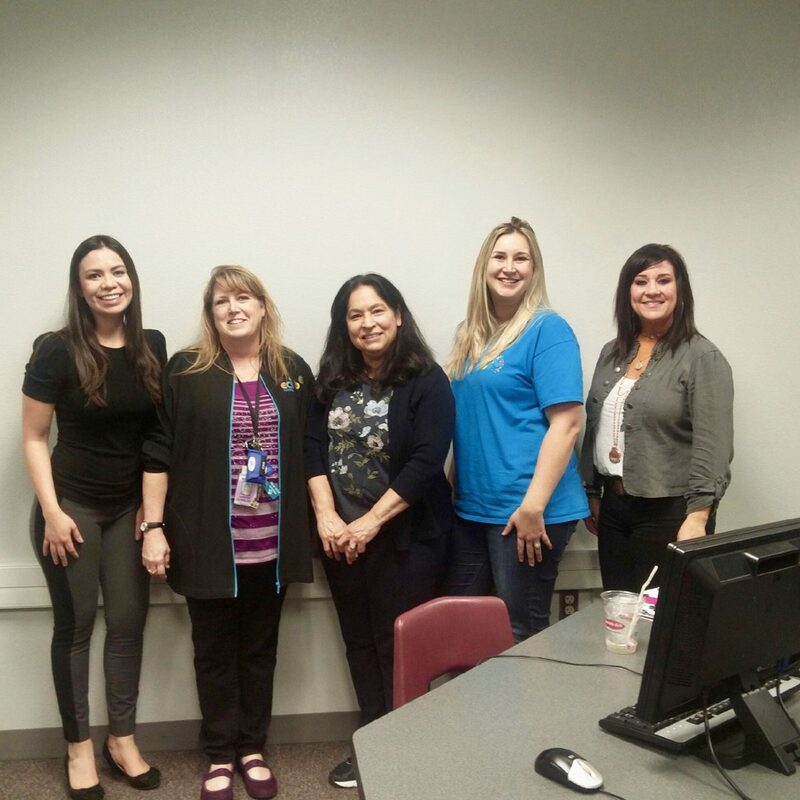 As part of our programming, the CCWTX Prevention Team presented a new curriculum to Ector County ISD nurses: Teen Dating Violence & Health Care Providers. 20% of teen girls report experiences of physical or sexual violence in a relationship. Approximately a quarter of teens experience some form of relationship abuse. As a result, the national organization Futures Without Violence advocates for Universal Education. This will ensure that all teen and young adult patients are provided with information about Teen Dating Violence, regardless of the reason for their visit to a nurse’s office, doctor’s office, or clinic. Community Service Manager Hannah Horick and Community Services Director Lydia Garcia addressed a wide range of topics. These included TDV risk factors, prevalence among teens and young adults, how it can affect students, and what health care providers can do to help. The presentation also included information on Safety Cards, a take-home resource designed so that teens can have more information to review after they leave. Afterward, the ECISD nurses provided feedback on resources they need, questions they had on TDV, and suggestions for expanding the curriculum to younger students. As a result, Crisis Center of West Texas will use this input when adjusting the curriculum to best fit our community. Call our administrative offices if you or your organization are interested in learning more about or scheduling a presentation of our Teen Dating Violence & Health Care Providers curriculum. You can reach our office at 432-333-2527.